I love those wide angle, low down perspectives. They really dramatize the scene. in reading the web page on the mortuary (and other) poles I saw that several were taken away and are in museums. Was there any controversy with removing the poles? Hi dogsdolls. Hopefully one of my Haida viewers will answer your question. However, I will try, but I am likely to miss the nuance. 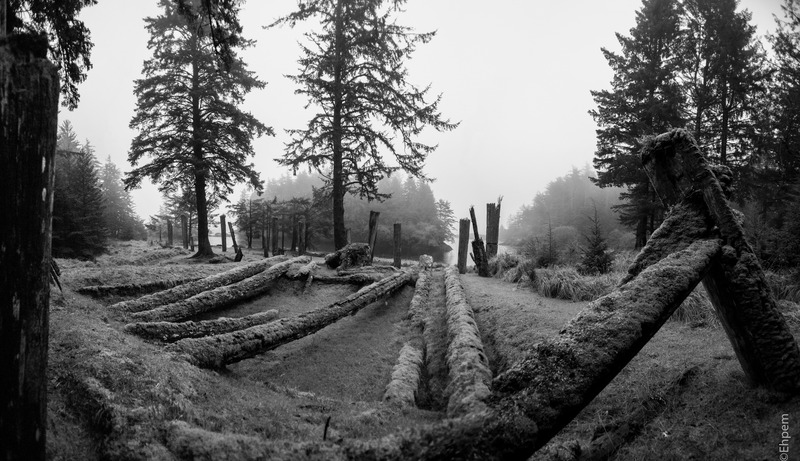 I think at the time there was not much controversy – the removal of poles was negotiated with Chiefs in Skidegate, I think over a two year period (such a negotiation was highly unusual and set a much higher standard for such “collecting” activities). The Chiefs forbade removal of mortuary and memorial poles so only frontal poles were taken. Mortuary poles hold or held human remains in the top chamber. Memorial poles are the equivalent but for people whose bodies were not recovered (lost at sea, etc). Frontal poles display the inherited crests that are property of a clan (things like raven, eagle, beaver, killer whale, thunderbird, grizzly bear, black bear, cumulus cloud, and so on) – people could tell whose house it was by the combination of crests on the frontal pole. 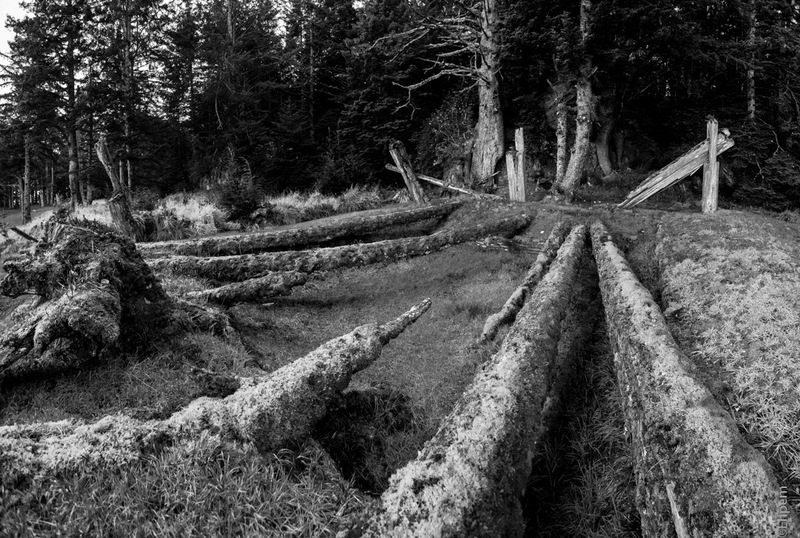 Many Haida I know now seem to resent the removal of the poles and that they were not left in place to slowly decay with the others as is considered proper. But many others seem to have mixed feelings because they see the poles in good condition in museums and they see the steadily and ever more rapid decay of the ones in the village and are grateful for the preservation and the examples of Haida artistic genius and to have them available to study and learn from, but still resentful of the removal. It is likely that eventually many poles will be repatriated to the Haida Gwaii museum where they will be closer to home and available for the community members to see and love and learn from. That first photo is another one of those spectacular images, especially when it fills the screen totally. Thank you Joseph! I really like how the mortuary and memorial poles along the front of the village are silhouetted against the mist – it gives a sense of the village as a whole which is very hard to capture.